About now I should be anxiously waiting for that coin to flip on heads (doesn’t everyone choose heads?). But I am not. At least not this month. And I can’t help wondering whether I made the right decision. During my last visit to my liver surgeon (the spare one, tucked up my waistband where I keep spare tyres) he made a BIG thing about the number of CT scans I have had and looked at me gravely telling me I am having too many and this was DANGEROUS. More dangerous than perhaps missing the early re-growth of a nasty I asked? To which more tssking was heard. Go and live your life he said. And slammed the HUGE file shut. He prescribed an alternating diet of MRI and CT scans every 6 months. A big jump from my 3 monthly check ups since the hiccup last year. Meanwhile The Siamese Cat (The one and only bowel surgeon) had been busy processing my 3 monthly CT scan for May. Whilst Mr Spare Liver was sitting in front of me expecting an answer for his preferred plan of an MRI instead in August, giving me nice things to think about in the meantime like living. Option 1 would have left me dealing with the results (good or bad) 6 weeks before The Wedding whereas Option 2 has me dealing with the results (good or bad) one month after The Wedding. “Greek Islands, Santorini” I said “we’re hiring a motorbike to see the island and maybe a sailing boat”. This elicited even larger tsskkks “I haven’t saved your life twice (well technically only once Mr Spare Liver Man, The Siamese Cat & Felix the Cat did the first time) only for you to squander it on the Greek roads “. Which makes me think, there must be a guide somewhere to this ‘baby bear’ living. Too much of anything, ooh that’s bad, too little, tut what a waste, but getting it just about right, now there’s a challenge. I am currently sitting on the settee writing this having had a little too much and suffering for it. John knows about this only too well. He regularly rebuilds me over the weekend only to see me crumble away as we get towards the end of the week again! So I have a plan and this involved sitting in the same waiting room expecting to collect a shiny new medic to join my ever growing menagerie; we will call this one, Mr Handsome the pain controller. Mr Spare Liver had kindly decided that I couldn’t Live My Baby Bear Life happily if I was still in pain, so referred me to get it sorted once and for all. Whilst waiting, I saw Felix The Cat (aka Liver Surgeon Number 1) who assumed I was there to see him and authoritatively said “follow me”… which I very nearly did before I remembered I was having my sacrum injected today, not my liver tampered with. The pain injections into the sacrum were painful but I have had worse. Mr Handsome insisted I went into recovery afterwards to be monitored for half an hour before he could dismiss me. I felt a massive wobbly fraud. Even more as I ‘walked’ into recovery and was met by the Sister who said; “Oh, you fancied a little spoiling as a patient, did you?” Now I may be mistaken but I think of spoiling as taking me to a nice hotel, feeding me good wine and chocolates, stroking my hair and being trusted to drive nice cars. No-where on my list does dressing in blue backless gowns and having needles stuck into parts of my body only reserved for sitting on feature as spoiling. If that’s all the same to you. 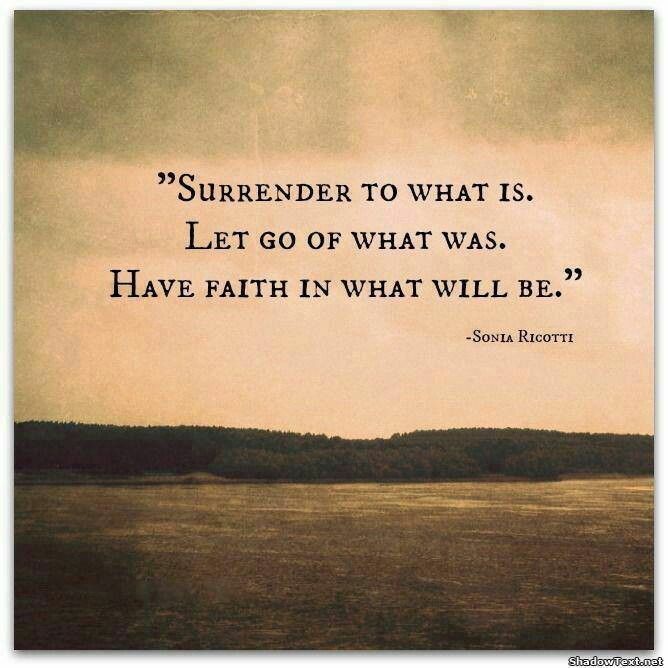 So there is much living to be getting on with. With a wedding fast approaching to the ever patient John. “Where are the blue authorities?” Asked John over the phone this morning, when caught slightly off guard by the registrar asking him for documents ahead of our appointment this Monday. I asked Google but he didn’t know. Too busy collecting our brains to make robot cars I suspect to bother himself with such trifles. If ever there was a need for a list it was now. And my lack of one means we I forgot to pick up our ‘blue approvals’ from the grilling we were given a couple of months ago by the registrar. Luckily John located them in the registry office awaiting our collection, tapping their dusty blue fingers and sighing theatrically when he picked them up. Which means I now need to write a LONG list over the weekend as it is now less than 6 weeks and I suspect there are things which need doing. Some of you lovely folk have asked me recently what was it like getting published and any tips I might want to share. So for those of you who are interested, here’s how it was for me. There is a list at the bottom in true C List style. Having a book published is an exciting but very slow process. Deadlines from publishers will be issued months or even years in advance and seemingly very little is done until the last half an hour when all hell breaks loose. Before taking me on, my agent put me through a resilience test because she said in her experience, people who write memoirs can be quite emotionally fragile and take rejection more personally than normal. I must have passed the test as she then proceeded to tell me to expect lots of rejections. She did round the conversation off on a positive note though saying she liked my writing style and the concept of lists to accompany each chapter (hence the name of my book, The C List). For her troubles I was to pay her a slice of commission and she would negotiate on my behalf and try her hardest to get me a publisher. She believed in me which was the best feeling. I had some wonderful rejections from Random House and Hay House who apparently loved The C List but had their quota of cancer memoirs on the books and as the market is still very fragile, publishers don’t like to take risks. I was told the cancer memoir genre either does very well or very poorly. And then, came the long awaited call from Watkins Publishing, part of The Osprey Group who signed me up on a bit of an advance which was even nicer; half payable of completion of the manuscript and half on publication of the book. They agreed that in addition to the UK, the book would also be published in America, Australia and New Zealand after I supplied them with stats of the top 3 countries for bowel cancer incidence. I was to complete the manuscript by 31 March 2012, submitting around 80,000 words. I heard very little if anything for six months and then helpfully they dropped their edits into my email box during a particularly stressful patch at work requesting my amendments, ideally, within a couple of weeks. Then it was back to the waiting game. Meanwhile I was asked to get a celebrity endorsement as apparently you lovely lot don’t like buying books unless you have them endorsed by a well known name. I think they underestimate you, but nevertheless I tried my best to oblige. “Could you use your publishing contacts?” I reasonably asked. “Oh no, we think it comes much better from the author” they told me authoritatively. So how on earth do you get the attention of a ‘celebrity’? Well not very easily I can tell you from my experience. I decided it would be easier to try people affected by bowel cancer. So, I approached Chris Evans as his dad had died of bowel cancer but he didn’t reply, not to any of my charming approaches. And then I tried Stephen Mangan as his mum had died of bowel cancer. His agent replied saying he was interested but was overseas. He never came back, well at least not to me. Finally I contacted Matthew Wright as his dad died of bowel cancer. Not only did he say yes immediately, but he invited me onto his show, The Wright Stuff (twice) and is now almost a friend – well we send each other emails regularly with kisses on and I endured the odd bit of ridicule when I voted for him in the jungle. So I guess that counts. But he has kept his word and has been pretty awesome. To cut a long story short, the book finally got printed after lots of negotiations about the cover. I didn’t like their version as I thought it was humourless and didn’t reflect the contents very well and they didn’t like my version (supplied by my talented brother along with the illustrations in the book) as they said it was in danger of looking like chick lit. So we settled on theirs with some creative encouragement from me. 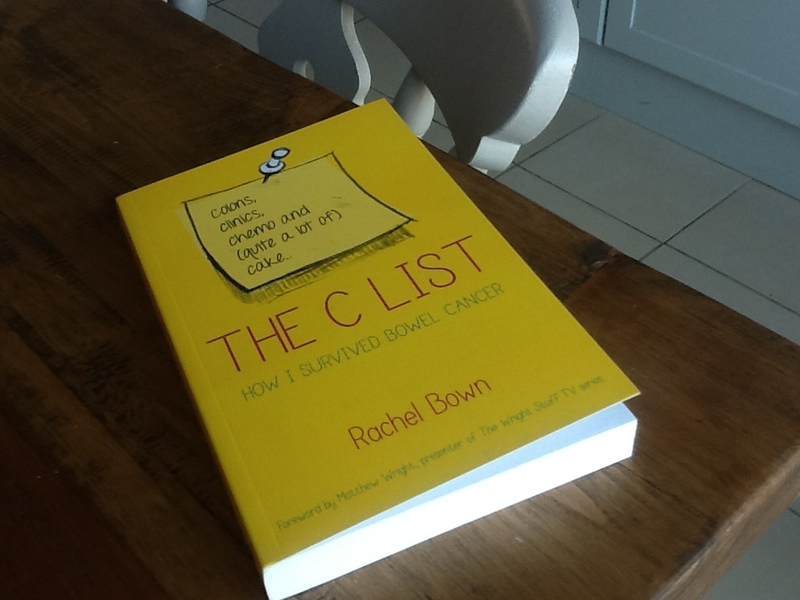 The C List was finally published on 3 April in the UK and on 22 April overseas and it took so long to get into print that I even managed a relapse and had some more liver surgery during the process. This caused a last minute flurry as I had to squeeze in a postscript (PS) as the printer was standing by tapping his feet and inhaling loudly. I am now in the thick of the publicity phase, which if, like me you suffer from the British disease, is a bit awkward. The famous childhood saying that still sticks with me (along with “Money doesn’t grow on trees you know….”) was not to ‘blow my own trumpet’, so instead, I like to think of pushing my book as doing my bit for bowel cancer by breaking down a few taboos. And even more importantly, to sprinkle some hope that you can beat stage 4 bowel cancer or at least repeatedly beat it back into submission. If you are thinking about writing a book, just start. Now. No procrastinating. I was given a good tip by my writing friend Andy. He said just put the hours in. Reserve time each week to write. Don’t worry about structure or trying to finesse it, you will have plenty of time to do this later. There are so many people who have half finished books on laptops; so finishing it is the name of the game. Come up with an angle, an idea, a concept that will carry your book and differentiate it from the crowd. Mine was lists after each chapter – I even have a list of lists at the back of the book. Getting a publisher is hard. It is easier if you have an agent who will have all the contacts and at least be able to get you through the door. But getting an agent is hard too! There is a book called Writers’ & Artists’ yearbook which has some good advice and the names of all literary agents and publishers. You will need to do your research and identify agents or publishers which have experience in your chosen genre. Be prepared to do your research on your target market. I supplied figures of the number of people diagnosed with bowel cancer each year to size the market roughly and how many were living with bowel cancer in the UK. And the same for overseas. I dug up plenty of stats which convinced my publisher there is a market out there (please don’t prove me wrong). Before my publisher took me on I was invited to meet the PR team for them to decide whether I was PR-able. So it’s a good idea to come up with angles and suggestions beforehand. I must have been given the nod as the Publisher subsequently sent out the contract. Be prepared to summarise your book and yourself many times in different templates and format for the publisher’s sales teams and publicity departments. I was given an editor to work with who was wonderful and sent back my manuscript with her marked up comments for me to embellish, amend or delete. It was quite a democratic process. Although I had a proof reader as well, I was still picking up the odd inconsistency long after it was supposed to go to print! Hopefully you will kindly gloss over any I have missed. The type setter will then do his magic and page set your A4 manuscript into proper ‘book ready’ pages. I caused a bit of bother as I insisted on preceding each chapter with an illustration from my brother, followed by a formatted list. But I think it was worth it. My press pack was sent out with a picture of me, a bit of a biog, background on the book and bowel cancer as well as some example interview and feature ideas. I am paid a small % in royalties on every sale but it’s very complicated and varies a lot and I will need to sell tens of thousands before I can buy that lovely little Alfa Romeo Spider!